I tried this repeatedly with different folders, existing and non-existent, populated and empty, but the result was always the same: whatever default location I chose for Data and Log, it reverted to Program Files every time. 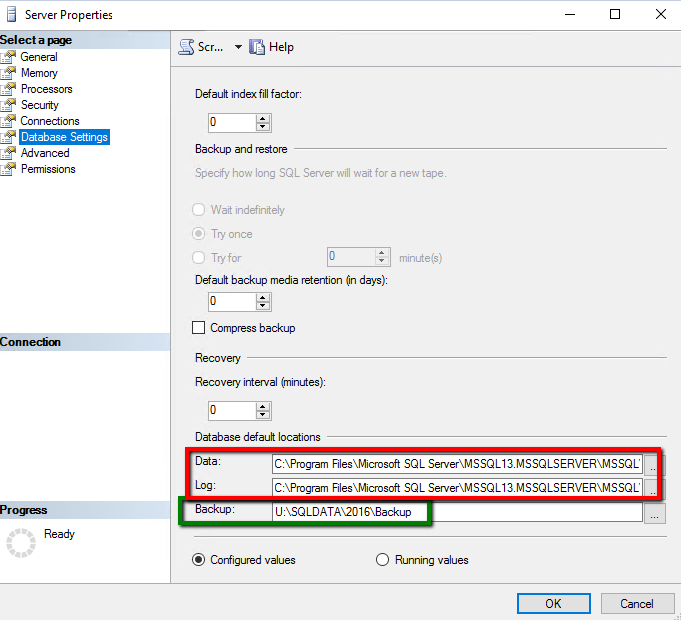 If you go straight back into the dialog, what it shows is misleading (a bug) as SSMS really has saved your new default locations for Data and Log. But at this time it only shows the correct value for Backup.